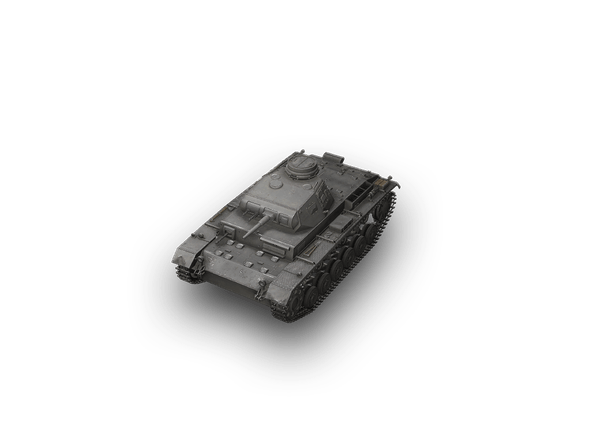 During its development, the Pz.Kpfw. IV Ausf. A was considered a heavy tank. The vehicle is an early version of the most mass-produced German tank. Development of the vehicle started in 1935; mass production began in the fall of 1937. The Pz.Kpfw. IV was subject to continuous upgrading: the vehicle in the game is an interim version between the Ausf. A and Ausf. B variants. The first three vehicles saw service in January 1938. A total of 35 Ausf. A modifications were manufactured; they remained in service until the spring of 1941.